So you've seen your quote from us and you are happy, great! Make sure at the bottom of the quote you accept the terms and input your credit card details. We dont get started until the payment has been received. OK, I've accepted and paid, then what? 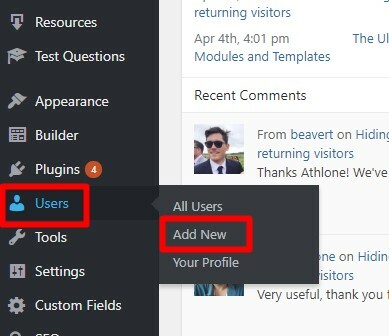 Next we need you to create an admin account in your WordPress install for us so we can go in and make the agreed changes. 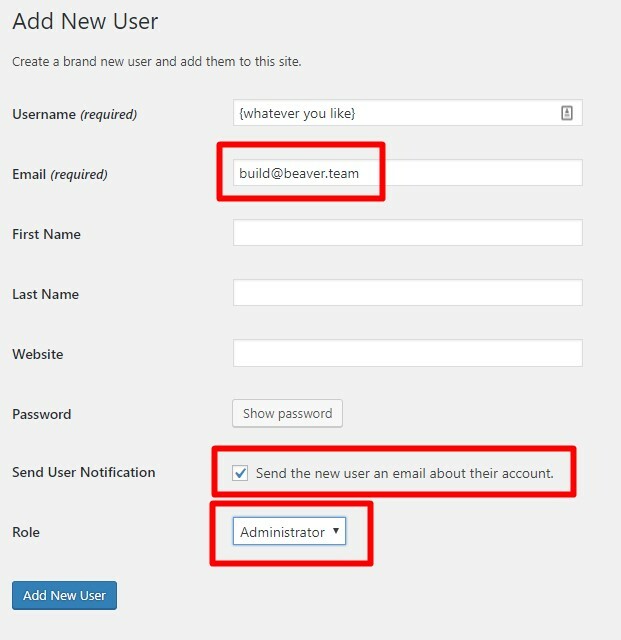 Please create a user with administration (with whatever username you like) and the email "build@beaver.team". If you do not want to use our email so you can white label your work. Please create a user account and forward the user name and password to us. NOTE: emailing passwords in inherently insecure, so consider deleting this user account immediately after the task completion. We'll get started on your project and let you know when we are complete, or if we have any questions for you.